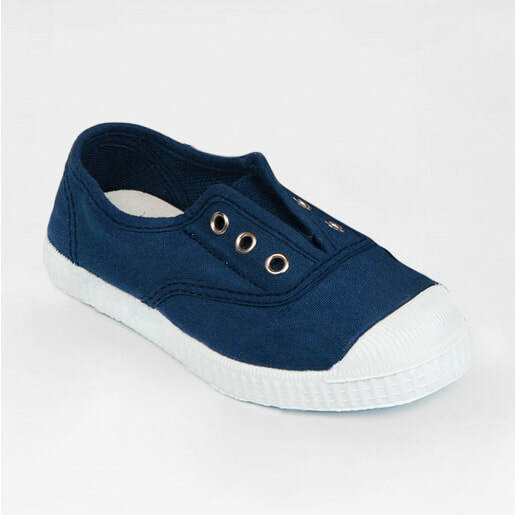 Stylish 'retro' canvas shoe by Hampton Classics exclusive to Trotters. Elasticated for ease and comfort with three eyelet detailing. Hand finished natural rubber sole. Designed in London and handmade in Europe using all natural rubber and cotton canvas.